No-one throws a dj party like Scratchy. 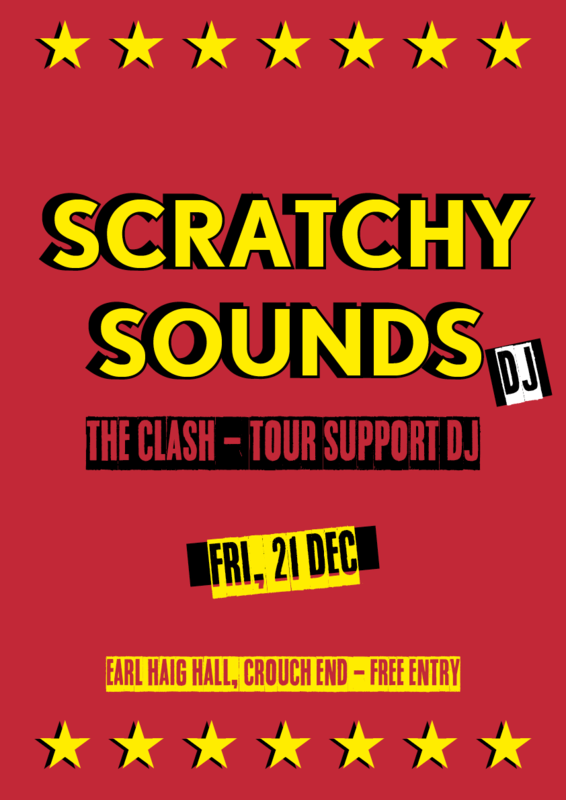 The renowned dj who toured with the legendary Clash, Scratchy still has his finger on the rockin’ dance pulse, bringing together an irresistible blend of rock’n’roll, reggae and roma, a true mestizo mix of the greatest music on the planet, from and for all times. In an era when just about everyone calls themselves a DJ, Scratchy stands out as a genuine, independent and free-thinking phenomenon. For over 35 years, this Selectah has been Rockin’ The Frontline, starting with his first punk gig on July 5th 1976, alongside The Ramones at Dingwalls Dancehall, the famous London club where Scratchy was resident DJ for two years. It was a consciousness and love of rockin’n’rollin roots music, a formidable reputation from his ongoing club and concert work at major venues and events in London, from the Speakeasy to Dingwalls, from the Roundhouse to the Lyceum plus an initial couple of tours with Dr.Feelgood, that led to two years as the on-the-road tour dj with his favourite band the Clash. He accompanied them throughout the UK and was an essential feature of their first three US campaigns. Meanwhile, between tours, he continued to play London concerts with stellar acts like Iggy Pop, Blondie, the Cramps and Black Uhuru.